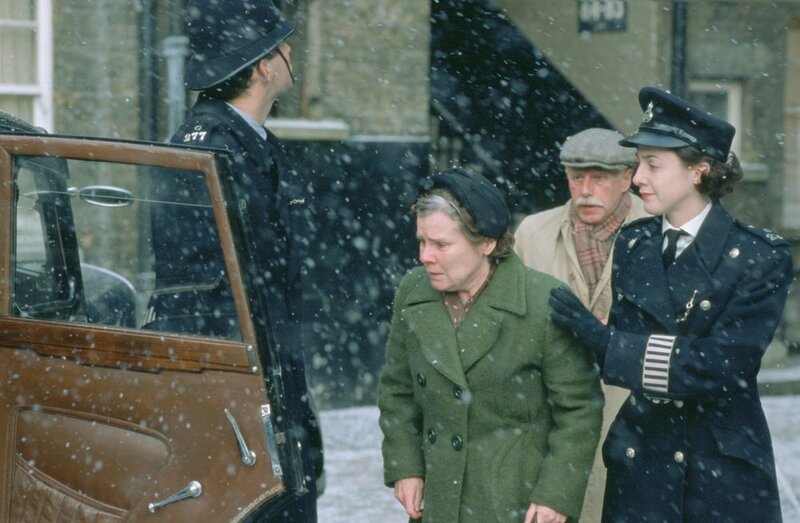 The Vera Drake movie is set in a poor part of London in 1950. There is a post-blitz housing shortage and food is still severely rationed. Mike Leigh’s film is notable for its meticulous attention to period detail and the fact that the dialogue was almost entirely improvised. Most actors did not know what the film was really about until the final revelatory scenes. Their reactions were, in the context of the intimate acting ensemble, authentic. Vera Drake works well as an ethical case study. Unlike a text book trolley problem, we have to search for the significant facts, navigating complexity and attempting to understand a precise context. It occurs in a different place and time from our own. To some extent we can take a socio-anthropological approach. These are fictive lives (albeit exhibiting a high degree of verisimilitude) at once remove from our own situation. We have the luxury of some critical distance and objectivity. Thinking about the Vera Drake context has some connection with our discussions on female genital mutilation. Although the movie is fiction (It reads like a good novel.) both scenarios contain all-too-human, complex, context-bound, politico-ethical dilemmas that can be viewed from multiple perspectives. Vera Drake (2004) High definition trailer. Before starting the movie students are given this first set of guiding questions. Students should be asked to make written notations at appropriate moments as the movie story line progresses. 1. What are your first impressions of Vera? 3. From the evidence of the movie so far, differentiate between being rich and poor with regard to access to legal and safe abortion in Britain just after the Second World War. Utilizing the 2004 movie Vera Drake as a case study, explore how multiple theoretical ethical frames may help us to move beyond intuitive "snap judgments" or simplistic subjective relativism, when analyzing complex issues like legalizing abortion? Your essay should include three paragraphs that analyze the ethical implications arising from the actions of Vera (and other female characters) from a Deontological, a Utilitarian and an Intentionality perspective. Try to integrate the importance of Language as a Way of Knowing for Mapping the (ethical) Territory. In your final paragraph you should come to your own nuanced conclusion/synthesis. Address, but also move beyond, the "saint vs. serial killer" dichotomy. Pdf. of written assignment and the initial questions.